It's finally here! 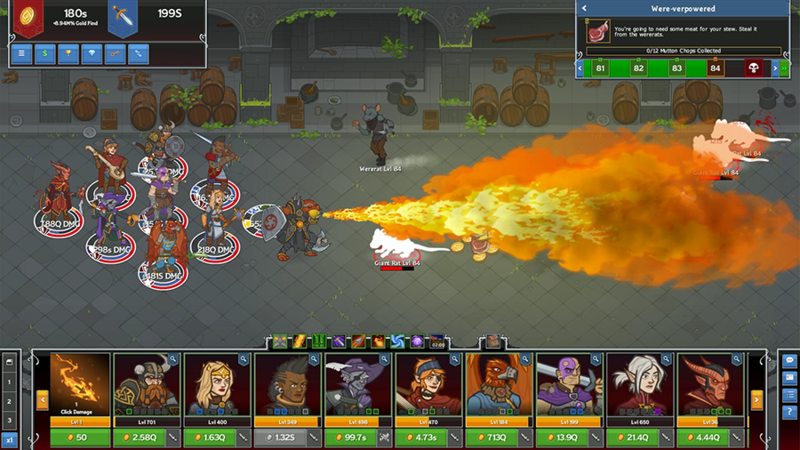 This is the week we launch Idle Champions on PlayStation 4 and Xbox One. To mark the occasion we have a number of exciting activities planned starting with the launch of our brand new Founder's Pack on Steam, Android Tablets, and iPads starting today. In Neverwinter’s Module 12, the Jungles of Chult, Celeste joined our adventurers on their trip to Chult, however, their ship was destroyed on route by a Dragon Turtle. Celeste was washed ashore on the coast of Chult, where she then tried to find her way to Port Nyanzaru. However, her misfortunes didn’t end there. As she tried to survive the trip through the Jungles of Chult, Celeste had to deal with the dangerous wildlife, including a run in with the monstrous Tyrannosaurs Rex; only to fall captive to a tribe of Batiri and taken to their village Yellyark. Unfortunately, this is where she met her demise. Our adventurers, sent by Nanny Pu’pu to eradicate the Batiri tribe, found the deceased Celeste in one of their prisoner cages. Since Acererak had his Soulmonger in use, there was no way to truly resurrection Celeste. So, with some skepticism, our adventurers turned to Nanny Pu’pu for help, who was able to revive Celeste temporary… undead; Celeste was very put out about this when she came to. 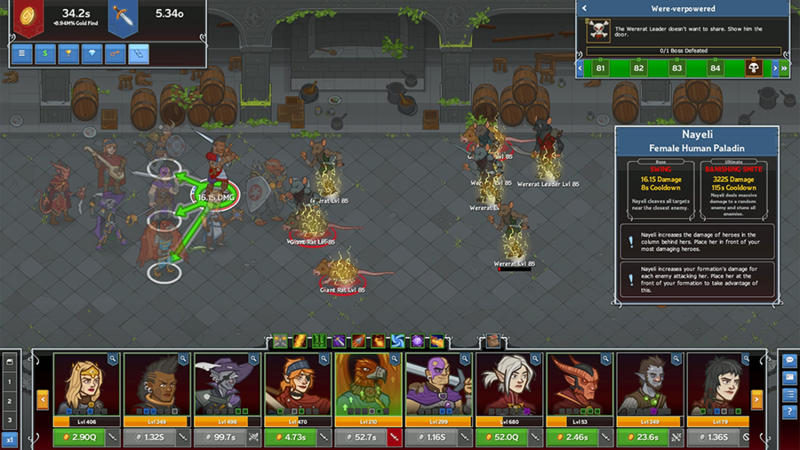 Only after confronting Acererak and bringing an end to the Soulmonger, was Celeste able to be revived as her normal self. The undead process may or may not have involved sacrificing Batiri with the help of Makos. 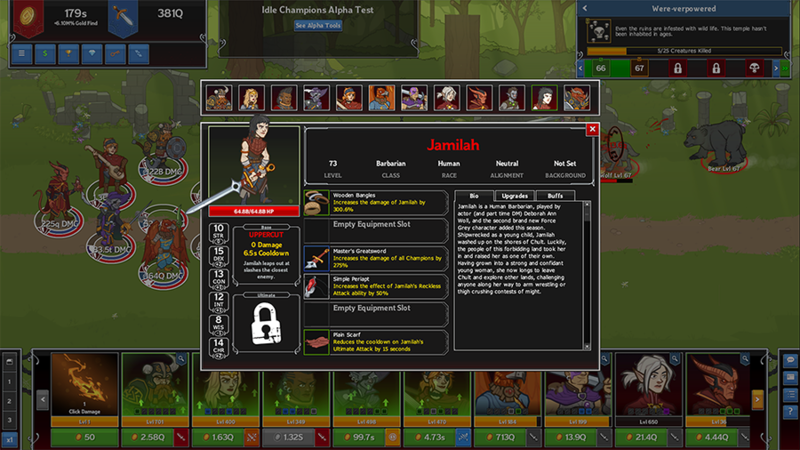 Also, the gem in her forward was part of that ritual, where it may or may not be tethering her soul to her undead body. They will be available on both PS4 and Xbox the same day that the game launches on those platforms. 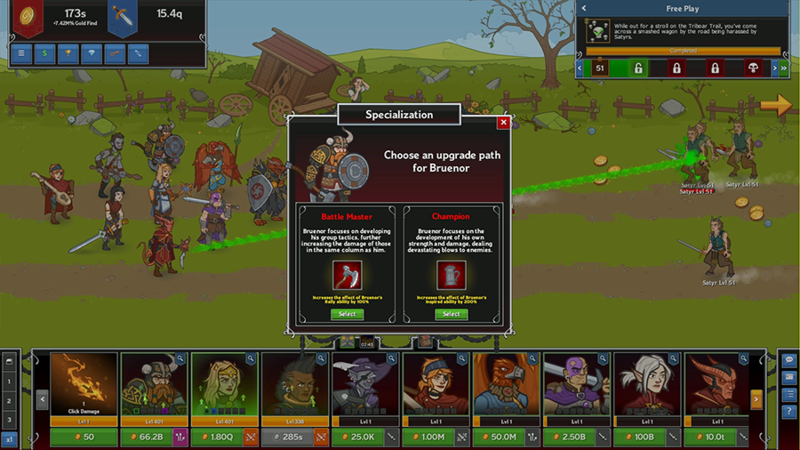 Finally, we also details of our week-long in-game celebration starting on Friday. 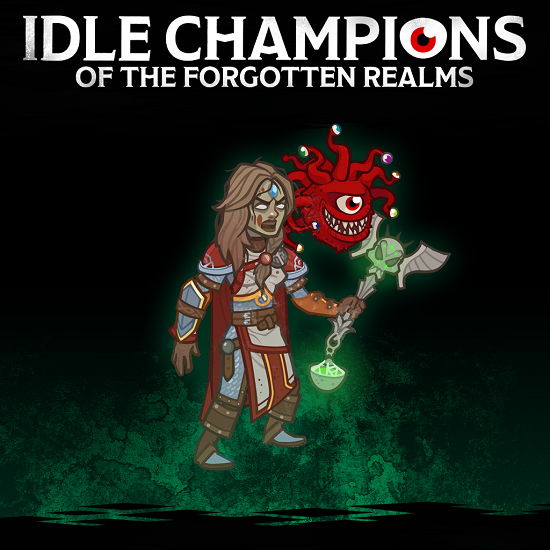 The new undead Celeste skin available exclusively in the Founder's Pack. Similar to how we celebrated our Anniversary, we are launching our in-game Console Celebration Week starting this Friday! From December 14th until December 21st, players will be able to earn daily rewards by logging in. 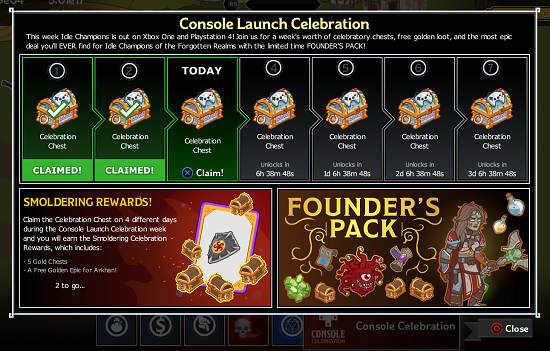 All you have to do is check in and play every day to pick up a Console Celebration Chest. 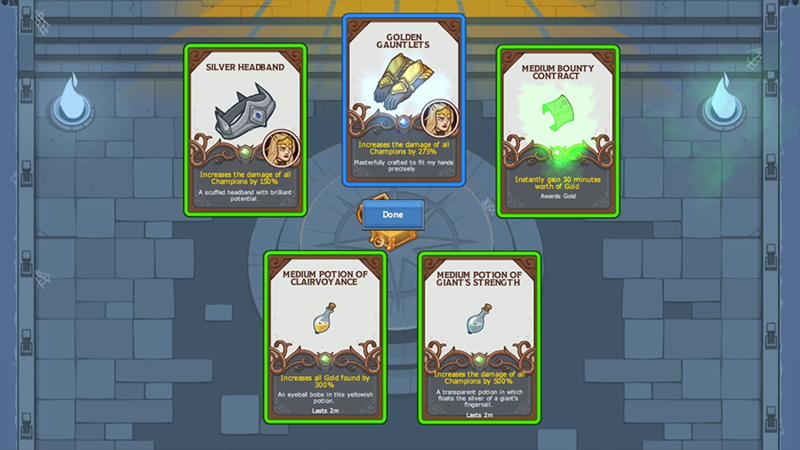 Each of these chests contains four unique items curated by our own Live Services Manager, Chris Dupuis, on behalf the Idle Champions team. 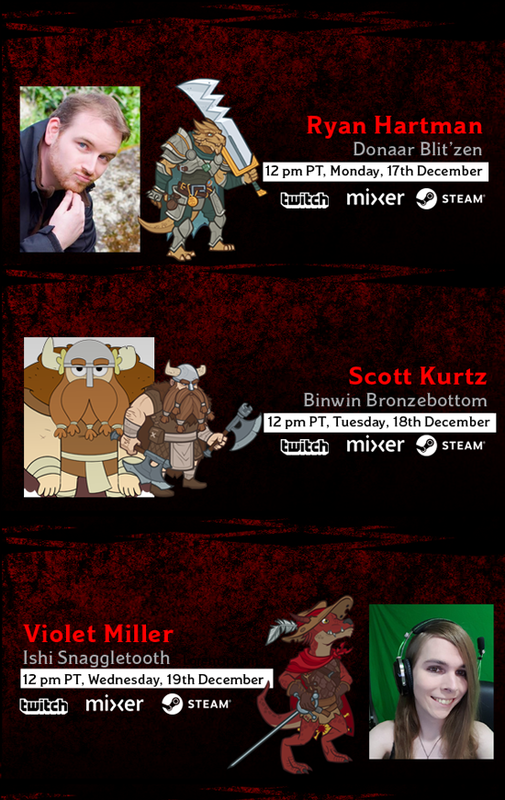 Then throughout this week and next, we're going to be talking to all the content creators who have a Champion in the game, starting with Scott Kurtz and his character, Binwin Bronzebottom, tomorrow. 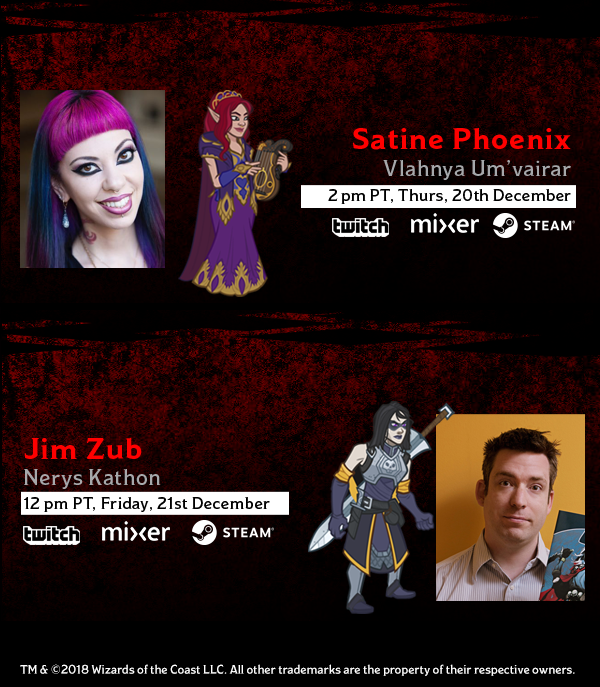 To cap it all off, we have an exclusive interview and reveal our latest upcoming Champion, Nerys Kathon, created by Jim Zub & Max Dunbar on Friday the 21st. 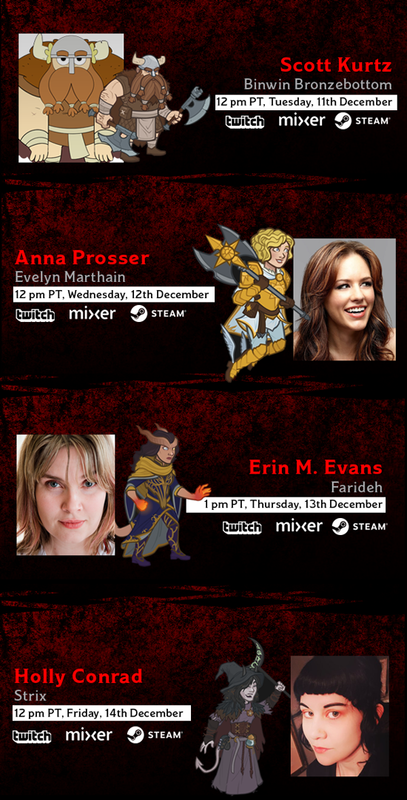 Follow the official twitch.tv/dnd channel, the Idle Champions Mixer Channel, and our Steam store page, so you don't miss any of the awesome interviews. 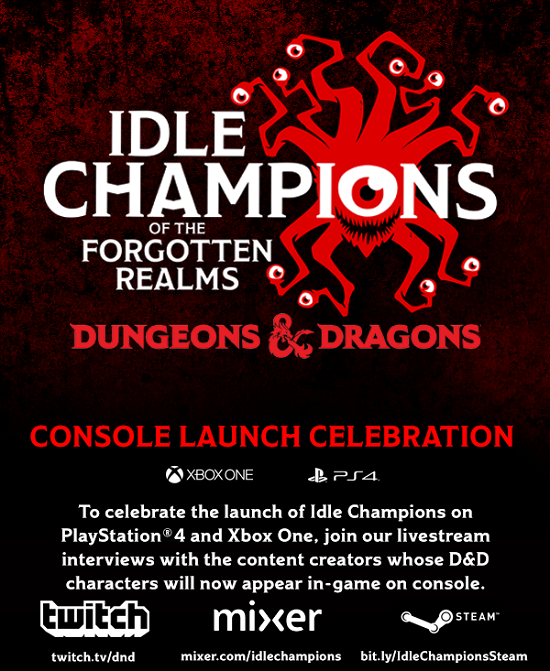 Also, be sure to download and play Idle Champions on PlayStation 4 starting tomorrow and Xbox One this Friday, 14th December.